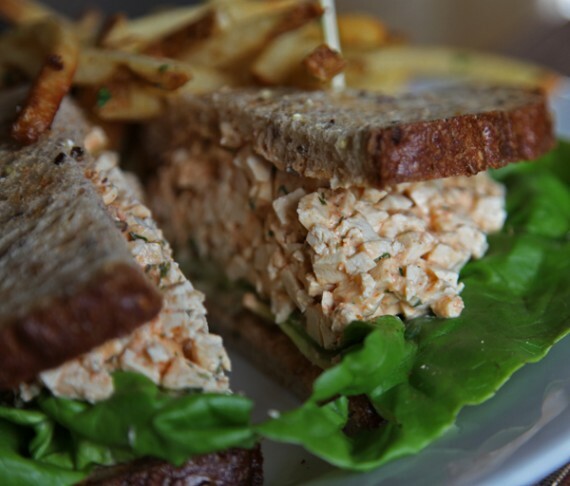 bld is a trendy little restaurant on beverly that keeps long hours and has a surprisingly vegan-friendly menu. after reading a really positive review of their vegan benedict in the forums, we headed over there this weekend for brunch to check it out. i am happy to report that the benedict was nothing short of amazing, and overall we had a great dining experience. 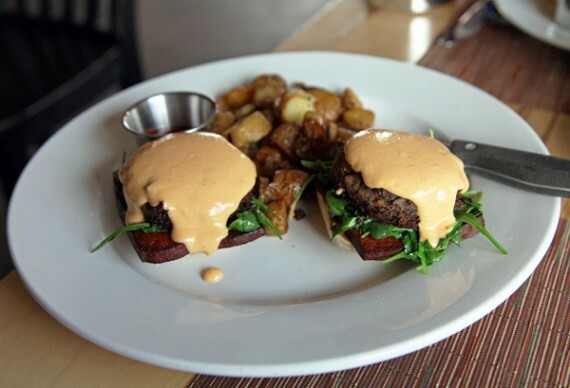 bld’s vegan benedict comes with two veggie patties, leafy arugula and thick slices of tofu bacon atop round pieces of crispy bread, all smothered in creamy and slightly spicy hollandaise. every single layer of this thing is perfect—from the smokey bacon and crumbly patty to the rich and wonderfully seasoned sauce. this may very well be the best vegan benedict in los angeles, i think it’s only real competition would be from m cafe. the meal comes with your choice of breakfast potatoes, and we went with the olive oil roasted fingerlings. wow, wow, wow, were they amazing. i kid you not, some of the most delicious potatoes i’ve ever eaten. small, slightly oily, and crispy around the edges—these were cooked just right. 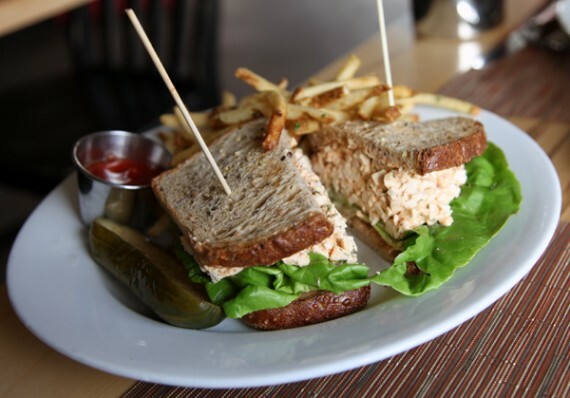 we also shared the eggless egg salad sandwich with a side of fries, which was tasty but not as memorable as the benedict. the sandwich came on soft grainy bread and was stacked with soft pieces of cubed tofu in a creamy sauce. my only complaint is that the filling was a little bland, but that sure didn’t stop me from eating my entire half of the sandwich. the fries that came with it, though, were amazing—super thin, crispy, and well seasoned. bld has a full bar with a great cocktail, wine, and beer selection. unfortunately when we dined there, it was before 10am, which is too early (even for a lush like me) to start drinking. 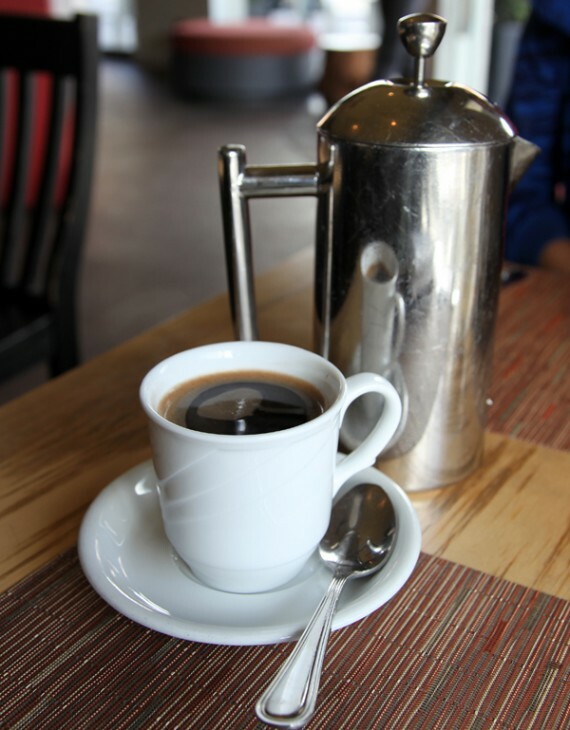 instead i had small coffee, which came in a french press and was exceptional. 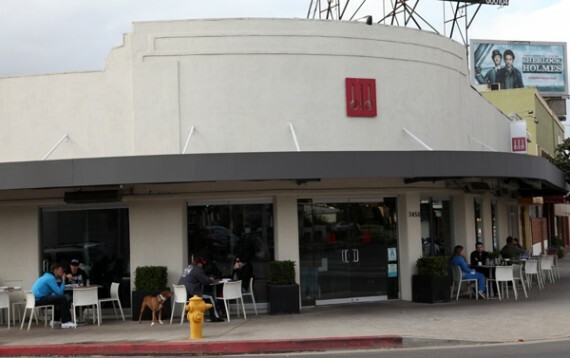 for a hip and popular restaurant that caters to mostly hollywood-type omnivores, bld does an amazing job with their vegan offerings. i highly recommend you get over there and try out the benedict ASAP. i know i will be back to bld very soon and very often. special thanks to lucysnowe from the forums for letting me know about this place. 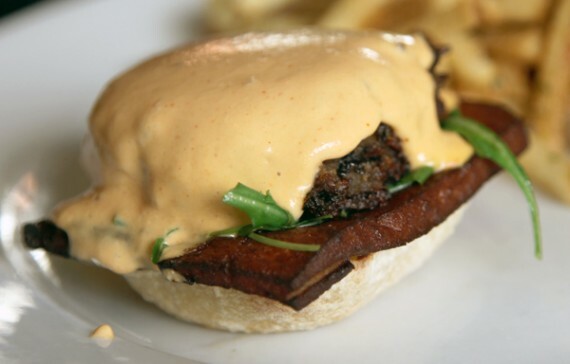 you can read her review of the benedict here.